Pregnancy, abdominal surgery, infection, jarring injuries and emotional behaviours can all affect the mobility of your organs or viscera. Pregnancy involves a lot of stretching and reorganizing of most everything in a woman’s abdomen; this happens gradually over nine months and the body amazingly figures out how to create space for a whole other person in there. The issues can arise more during and after labour when everything is asked to change in a relatively short period of time. There is a huge pressure change and all of a sudden organs can start dropping back down; whether they find their proper, functional place to be depends on how the labour went, how much damage there was to the supportive muscles and if any surgery was done. I am relatively new to using visceral manipulation as a treatment modality but have already found it to be the missing piece of the puzzle with many of my clients with stubborn, persistent pain issues. It is a totally painless, light touch form of manual therapy that requires therapists to really know their anatomy. Used in conjunction with other forms of manual therapy, dry needling and movement training it makes most conditions treatable by conservative means. Jarring forces involved in sports, car accidents and falls can affect your organs just as much as your muscles and bones. The shear forces can create tearing and scar tissue. The impact forces can create bruising. Your body does its best to protect vital organs during extreme forces but in doing so can create an aftermath of restrictions that can result in pain. Therapists should consider that the driving issue behind their client’s pain could be coming from something inside that may be harder to get at than just treating the muscles. These are only a few examples but the concept makes a lot of sense to me as a physiotherapist. I see people all the time that seem to have a back or a shoulder that always ‘goes out’ on them at very inopportune times….before a big meeting, or trip, or Christmas time. They have no idea what they did and don’t understand why it comes back 2-3 times a year. They have done all the core classes they could find, but strength just wasn’t the issue. Their chronic issue is where their body holds stress and how it protectively reacts around it. Stress is a powerful thing and your organs are the crossover between physical and mental wellbeing. The fascinating part of the osteopathic approach to treating pain is that it can provide explanations based purely on anatomy for very common, but poorly understood ailments. Frozen shoulder can relate to a nerve irritation stemming from the visceral pleura. Chronically cold feet can be your small intestines. Persistent left sciatica or SI pain can be your sigmoid colon. Right medial knee pain and instability can be an irritation of your obturator nerve near your large intestine. Right shoulder pain can be a restriction in your liver. Heartburn and gastric reflux can mean your stomach is sitting too high. The list goes on and it is a bit more complicated than that, but the amazing part is that it is all treatable by a good manual therapist that knows his anatomy inside and out (literally). Visceral Manipulation is unlikely to be the answer for everything, but it can be the missing piece of the puzzle for a lot of people. If you want to find a practitioner that uses visceral manipulation you are best to start looking in this order for someone in your area: an Osteopath, a Registered Massage Therapist, a Physiotherapist, a Naturopath. Please feel free to ask questions or leave comments about your experience with visceral work below. I have lived the majority of my life with psoriatic arthritis. I have tried many things over the years and suffered with bone degeneration/deformity and the resulting pain. Over time I developed many drug allergies so drug therapy was not something I was interested in or an option. Having said that, with the ongoing deterioration rapidly advancing I was left to the mercy of pain killers and physio therapy as my only options. Thank God! My physio therapist is a godsend for me. We have been working on fascia release for a while now but the visceral release has only come recently and I would highly recommend it to anyone. The difference I have felt is beyond words. When you suffer with an underlying condition that is constant in your daily life you learn to accept that is it a part of your life and you do the best you can with it. I started going to physio therapy to maintain movement and reduce pain but what I am finding through these two treatments have surpassed my expectations. In the past I would be the first to say "ya right" and I don’t blame others that think that way but I can say, you owe it to yourself to try this. I am not nor have I been a mild case of psoriatic arthritis as a matter of fact when I was first diagnosed almost 30 years ago I read an article about one of the worst cases and my condition at that time was already more advanced. It was disheartening to say the least but I went through periods of remission and other times of rapid advancement. Disease of any kind is cruel but we still cannot give up the fight. To anyone out there considering options I say, put this at the top of your list. Not only for the overall relief of the disease symptoms but your overall mental and emotional health. I feel absolutely amazing!! It is possible, but I don’t have any experience with it. I would look at Dr Ron Mariotti’s website VisceralSynergy.com he may have more insight on the topic. He is a Naturopath in Seattle that is very experienced in Visceral work and i know treats cancer related issues….good luck! I had visceral massage done 2 months ago and have had so much pain in my hips/groin/lower back. Is that normal? No that is not normal….talk to the practitioner about it or possibly find a new one. I came across your site while doing a bit of research on pain issue related to visceral restriction, and manipulation techniques to address that. 1) Does my thinking — that perhaps my left SI, left piriformis, and lumbar pain might come from a visceral restriction in sigmoid colon, possibly brought on by some shifting and adjustment to an IUD when I already have digestive issues — seem /possible/? I’m not asking for a diagnosis, here. 🙂 I’m just wondering if you think it’s worth looking into. 2) If so, do you have any good references for professionals in Eastern Massachusetts who might be able to sort out whether this is the case? Preferably someone who also does manual viscera manipulation? yes it sounds entirely possible and worth looking into. I would try looking on this website for a therapist that has taken visceral manipulation level 3 and higher http://www.iahp.com/pages/search/index.php you can search by zip code and specialty. If you don’t get anywhere try having your IUD taken out and see if the pain subsides, you won’t want someone working directly on your uterus with the IUD in, but they can likely work around it. Thanks, Brent! I’ve found a Felice Lazarus in my general area, who seems to have listed all the core classes in visceral manipulation. I assume she should know not to work on my uterus with my IUD in? My husband had to have mesh removed from his abdomen and spent 4 months fighting intense pain, infection and developed a fustula. His surgeon repaired the fistula ,removed a portion of his intestine and found his intestines to be “Kinked”. After surgery he had physical therapist manipulate his abdominal area and he felt immediate relief of gas pain, and I could see the shift from a stressed, conflicted patient, into a relaxed, peaceful state . It was amazing! I am so pleased to see advances in medical treatment utilizing the healing touch. Hi Felicity….sorry for the long delay in my response, I missed your comment….it sounds like you have been through a lot. In short, yes I think visceral work could likely help your body make sense of everything it has been through. It would not be a miracle cure, but may make enough difference to make you more comfortable. Worth a try! There is an enormous amount of absolute nonsense perpetuated in the therapy world, and the fascial mobilization/craniosacral/visceral manipulation is as bad as it gets almost. I say “almost”, but it’s pretty bad. Lots written…. Ernst dismantles this here (http://edzardernst.com/2014/01/visceral-manipulation-you-couldnt-make-it-up/), and here (http://edzardernst.com/2012/12/up-the-garden-path-craniosacral-therapy/). Paul Ingraham does a wonderful job on his website dispelling lots of clinical nonsense using well-written and critically appraised research literature…. (https://www.painscience.com/articles/craniosacral-therapy.php).and there are handfuls of others who have concluded that this is clinically worthless and intellectually dubious (https://www.ncbi.nlm.nih.gov/pmc/articles/PMC1564028/). Sadly the PT programs don’t seem terribly keen on teaching critical thinking (vs “critical appraisal”), perhaps because the profession would prefer not to have to deal with its own skeletons and flimsy evidence base…. but this stuff is snake oil by definition. Thanks for your thoughts Finnegan. I have been a physiotherapist for 15 years now after graduating from McMaster University, a school and a program that prided themselves on their small group problem-based tutorials, evidence based practice and developing critical thinking skills. I learned the ins and outs of research, but at the end of the day my work was one of a clinician that was charged with the job of helping people. You can only learn so much from a research paper so I started seeking out experienced clinicians that had learned from decades of DOING more than reading other people’s summaries of yet other peoples research studies. I have approached every form of therapy that I have learned cynically and made sure to not ‘drink the Koolaid’ of any guru, but from each discipline there are numerous pearls of wisdom and very effective techniques. 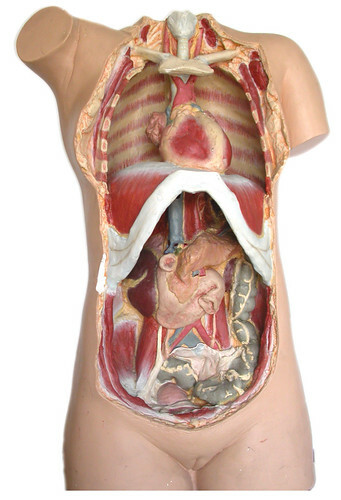 Visceral work won’t help everyone, but it can be very helpful for some people and if nothing else the process of learning it improves your knowledge of anatomy profoundly. Critics latch on to Barrals claims….to be honest, I haven’t bothered reading many of them. I witnessed the techniques effectiveness in experienced clinicians hands so I choose to judge it by learning it and have been impressed by how much better of a therapist it has made me. I respect and read clinical journals, but put far more weight into the wisdom of the experienced and the mentorship I have sought and that approach has made me very successful at helping my clients. Some people are comfortable thriving in grey areas while others need quantitative explanations and if they can’t find them, claim that you are a ‘snake oil’ salesman. Thank you for your thoughts and links, but I respectfully and sincerely disagree with your thoughts on the topic. I graduated from Mac in 1997 Brent…. Paul Stratford was there…. but that isn’t the issue. This stuff is absolute rot and honestly, this is why PT (and others mind you) has gotten itself lost…. zero critical thinking. To this specific issue, how do you ‘steer’ the appropriate force of just the right magnitude, just the right angle, when do you stop…. Talk to me about too much Kool-Aid…. PT is so searching for identity, so immature that it heo worships itself into silliness. But hey, whatever pays the bills. I stopped being a “believer”, and moved on to adult things…. PT is too Sesame St., too sophomoric… and far too naive about getting ripped off because it lacks critical thinking. If you ever feel like having a thoughtful and respectful exchange, I am happy to engage…. Critical thinking is always a positive exercise…. links, but I’m sorry you haven’t come close to shifting my opinion. Your writing is uncritical and makes it look like PTs can’t be bothered to read the frigging published literature, or even consider how untenable this crap is. How can you even imagine that anyone can decide how to direct manual force in such a manner and magnitude, and for the specific duration and then stop, somehow magically, just at the right time? It is scary that you refuse to think critically. Hey, why do you think that the Ont. Gov. pulled the plug on what was going to be a new program at Georgian College ….. in homeopathy….. because for the very same reason, IT IS BOGUS JUST LIKE THIS. Don’t shoot the messenger! Try reading what some folks attempt to offer the profession, but to no avail. It’s either an “evidence-based” practice, or not. If not, then it’s “pseudoscience”. Can’t you tell the diff? It’s a culture, one that is oblivious, or highly selective in teaching members, both as students as well as graduates, how and when and why to think critically, which is my point contextualized in my comment on your endorsement of this technique. They don’t teach it. Imagine the seismic event if they ever introduced it in the curriculum! The Emperor’s New Clothes, so the profession prefers to maintain the status quo of denial rather than face the fear of accepting reality (The walk, not just the talk) of EBP. It doesn’t even achieve biological plausibility as a therapy, but as long as you can convince them to pay, I guess. A race to the bottom. Fortunately, sane minds prevailed and the funding for this was pulled and the program nixed. Like visceral manipulation, fascial mobilization, cranio-sacral therapy, reiki, reflexology and on and on…..is pseudoscience, or worse. Someone else bothered to blog about this nonsense…. and if PTs are this misaligned on the same therapy, then what does that say about the profession at large? I guess what it comes down to Felix is what we believe to be ‘critical thinking’ is different. You seem to believe in more of a checklist approach of things that have been ‘proven’ or not by research and if it hasn’t then it somehow has to be crap. I have read research articles AND spent the time to learn a variety of techniques from a variety of clinical masters, I have then applied those skills working day in and day out to see which ones seem to show the most benefit with my clients….I have then gone on to write about the ones that have been most useful for me and my clients. This process is a form of educating the public in a non-threatening way and they can judge for themselves if it is something they feel might be helpful to them. If you read through the blog comments in some of the links that you sent, you will find people that have found visceral work to be hugely helpful. I think if the whole profession took the exact same approach to everything then the profession as a whole would stop progressing. It is good to have physios that do different things and think differently. We are collectively stronger by having black/white thinkers and those happy to live in the grey area. No, it doesn’t “just come down to what we believe….” unless it is faith healing you are doing. If you understand the basic tenets of science, which by the way is NOT about belief, then you would at least strive to share a culture (professionally) that shares the same physical reality as one another, but more importantly, with the world out there beyond PT. Science, as a perspective, not a dogma, provides us with the discipline of objectivity. Not to say that the scientific method is the only way of seeking knowledge, but to date, in this known Universe, a shared objectivity is the only way we know of to measure causation. I think that you mistake your subjective perspective for objective reality, a scary prospect when you think about how easily one can make mistakes and never know, never correct, and never move past. It’s professional hubris in that driver’s seat, something that the profession will pay dearly for as public funding pushes it into private clinics to fight it out with all the other snake charmers. Not saying you are, just saying, without a far, FAR deeper understanding of the phenomena, PT will race to the bottom along with everyone else, where the motto is, “anything goes as long as I believe it”. Your lack of critical thinking is scary. It reminds me of chats with the folks who steadfastedly support Trump despite countless inaccuracies, mis-truths, half-truths and overt lies, they are the believers. The manual therapy professions compete for the same low effect size scraps, but are too afraid to admit it. Ego-driven, clinging to their identity, no wonder effectiveness is so poor across so many conditions. But, narcissism runs deep, and loyalty to the tribe conquers truth, so calling the profession a “science” even an allied science, is a huge stretch. It’s a religion you are practicing. And that’s fine, just be honest about it. I provided you with an analogy using the blind followers of Trump, but it could be any other situation in which people trade ratiknal thought for the person need to avoid introspection, if you bother to follow the convo. My point is that you promote that for which there is personal belief, and you seem to cling to that as being sufficient a rationale to support behaviour. To claim that this is EBP, or ‘science’-based practice, is simply inaccurate. But you’re too busy….. Of course you would say that because that is what everyone says who has no better reason for doing what they are doing than, “because”. They never taught you critical thinking, never, and that kind of discipline requires too much time and effort for busy people like you, which is why the profession is in the mess it is. But you are too busy to know that too? But guess what happens when a whole group of people continue to promote only what they want to show the world, vis-a-vis, professional image without critically thinking and exploring why? It becomes intellectually hollowed out and empty, and it’s proponents become defensive and afraid that maybe the Emperor really doesn’t have any clothes (so they shove those thoughts down and avoid the discussion)? Maybe those expensive continuing education courses in manual therapy seem far less a big deal when it’s shown that much of it is nonsense, that they were selling you the image that you wanted to see, and the positive feelings of confidence that accompany it so that your ego could continue on. The lack of self awareness, of emotions, of anything to do with psychosocial health is part of that result, and that is the profession. Zero critical thinking, preferring its own intellectual echo-chamber where orthodoxy and anecdote rule. When the legend in your own mind becomes more important than critical thinking, then you get for example, to tell people that you can affect change in their internal organs. That is delusional thinking, 101. Try reading the literature. Unbelievable. I am in your camp as an RMT in Vancouver BC and have met many physios who are sceptical about all of the above therapies. Thank you for your work.